For the past week or so I’ve been in Canada gaining weight…but all for a good cause – my mom’s 80th birthday. My hometown is Gaspé , Quebec, a place of immense beauty and, this summer, immensely crap weather. Being spoiled and softened by the eternal sun of Le Sud, I spent the first 4 days inside, hiding from the cold rain (how can 15 degrees be called ‘summer’?) and drowning my sorrows in micro-brewed beer and my sister’s yummy carrot cake. Luckily, I had good company (my entire family) and I still had a couple of holes on the belt to let out in case of a sudden outbreak of fatness. Then, near the end of my trip, the sun came out and I took my older brother’s ancient Peugeot 10-speed out for a couple of rides. Gaspé is, and always has been, a very isolated place. It is 1000 km from Montreal, the nearest big city, and right at the mouth of the mighty St. Lawrence River, on the Atlantic Ocean. It’s also the end of the train line (one branch, at least) that crosses Canada. Here it is, the end. 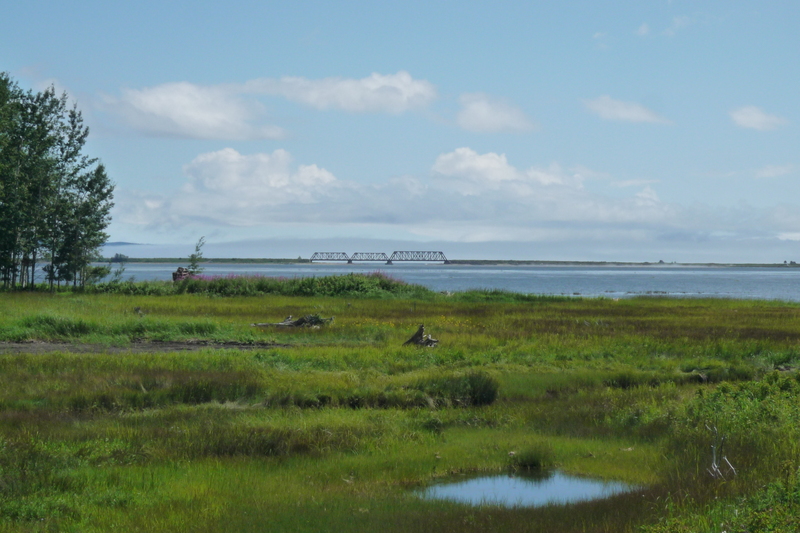 From the train station there is a nice mixed-use path that runs 10 km or so to Haldimond, a beach that specializes in beluga whale sightings and shriveled bollucks (the water is coooold!). The trail is part of the Route Verte, a trans-provincial cycling route that, based on the number of panniers I sighted on my way down and back, seems to be pretty popular. Below is the Peugeot, bought in Germany many years ago. Although my brother claims to have ridden it a couple times, it was in total pristine condition, except for the tired tires that needed to be replaced and hubs that had to be re-packed with grease. It even had the protective plastic wrap on the fenders. It was a surprisingly nice ride. The geometry on these older bikes is a tad more comfortable than the scrunchy speed machines of today and I had a really nice two days on the roads of Eastern Quebec. Of course there were challenges, like continuously trying to switch gears by pushing in my brake levers (for youngsters out there, in the old days, shifters were inconveniently placed on the down tube.) and trying in vain to get a comfortable position on the hoods. But all in all, I was really pleased with the ride. 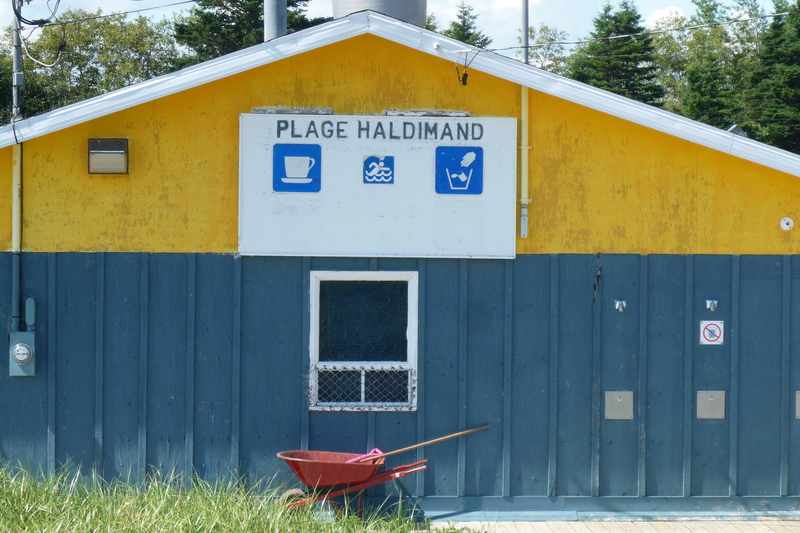 This is the casse-croute (snack bar in Quebec French) and washroom/shower block at the beach. 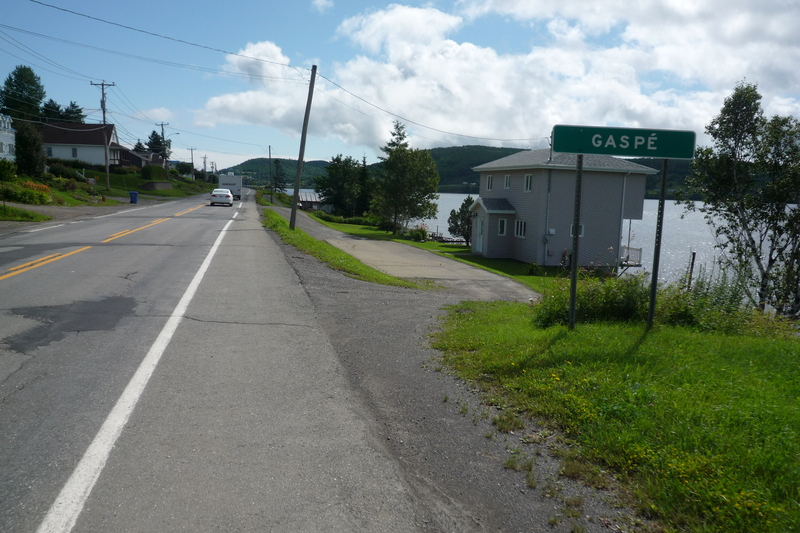 This entry was posted in Canada, Cycling and tagged cycling in gaspe. Bookmark the permalink. Gerry – Still riding in Le Sud before returning to Western Canada in a few days, I have to say you live in “cycling heaven” and as nice as Gaspe must be, it’s nothing like this. I’ll take Le Sud on my carbon fibre Rossetti any day. See you tomorrow in Nice. Yes, I think Le Sud qualifies as ‘heaven’. You’re right. Gaspe was nice, but I had to dodge massive rain showers on the 1st ride and got stung by a bee on the 2nd. Savage. Hard to believe it’s tomorrow we’ll be meeting up. Looking forward to finally meeting you two. 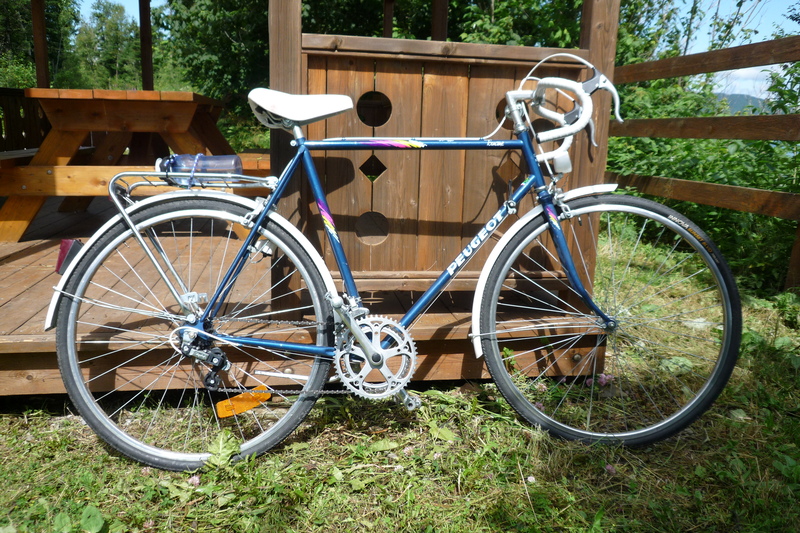 Gaspe looks lovely, the old Peugeot, awesome, but ahem….Mothers Photo’s please!! She was kicking up her heels, as usual! I’ll look around and see if I have any suitable photos of her. She’d need to be on a bike, of course, so might take some time! Glad to hear that you made it back for the celebration. Home. The very sound of the word has a calming effect. Very nice pics – I love the Peugeot! Incidentally, it took me several weeks to get used to brifters and I was more than a little embarrassed at my LBS when I was forced to ask the salesman to demonstrate how they worked! Steve, thanks for introducing me to a new cycling term – ‘brifters’! I tried to bike again this year from Douglastown to Shigawake but it was just too rainy! I did some good day trips around York/Wakeham and Douglastown though which are wonderful. Great photos of the coast ride you did this summer. 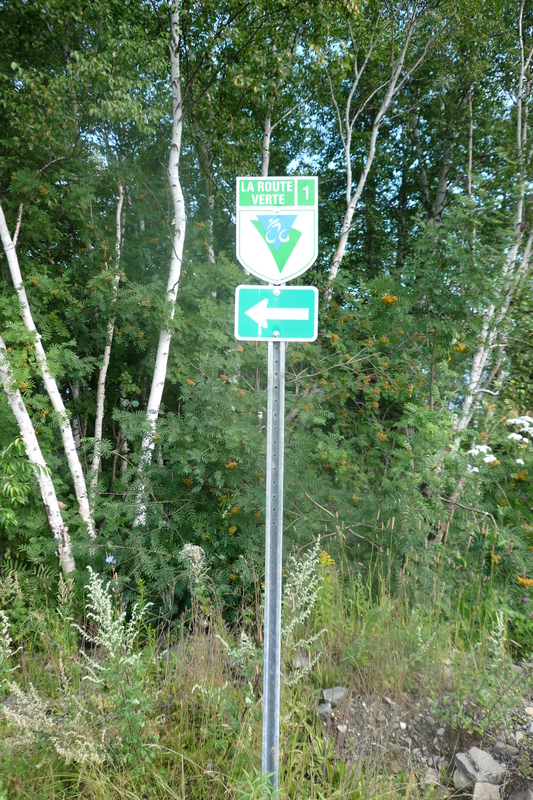 I go back every few years, so I’ll do it (probably Montreal to Gaspe) one of these days. The south coast seems to be the way to go and it’s the area I know least well, so I’d probably do that. How’d you make out for accommodation? I mean, I see there is a ‘cycling friendly’ network being built now. Did you search these types of places out? Camp? Also, how about shoulders / bike lanes? Along the north coast they have progressively widened the road over the years and it is really well travelled now by cyclists. The south coast is great. I found wonderful camping all the way. 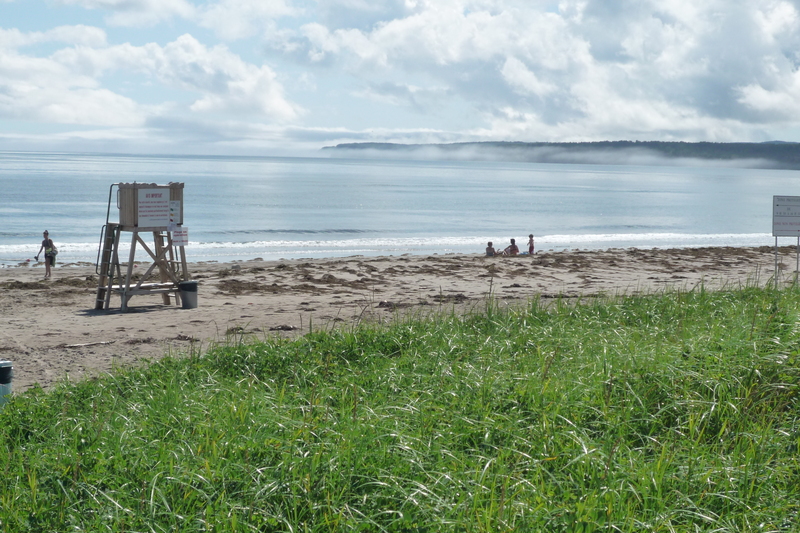 My favourite was a beach-side campground in Pabos called Camping Plage Beaubassin. I had the whole beach to myself. Also, the place in Carleton on the barachois was excellent too though more busy. 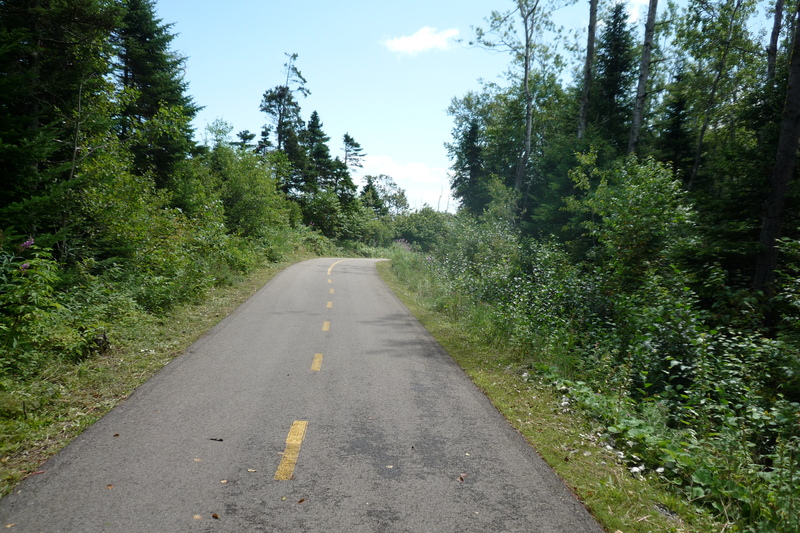 I would describe the whole stretch very bike friendly but especially the stretch from Perce to Campbellton. Except for a couple kilometers in Chandler, the shoulders where extremely wide an well-kept in an effort to entice cyclists to the region. I’m still a novice in bike touring so the southern coast was a lot more feasible because the hills are much less of an issue. You can even bypass the Percé hills if you need to by taking the line road at Corner of the Beach. 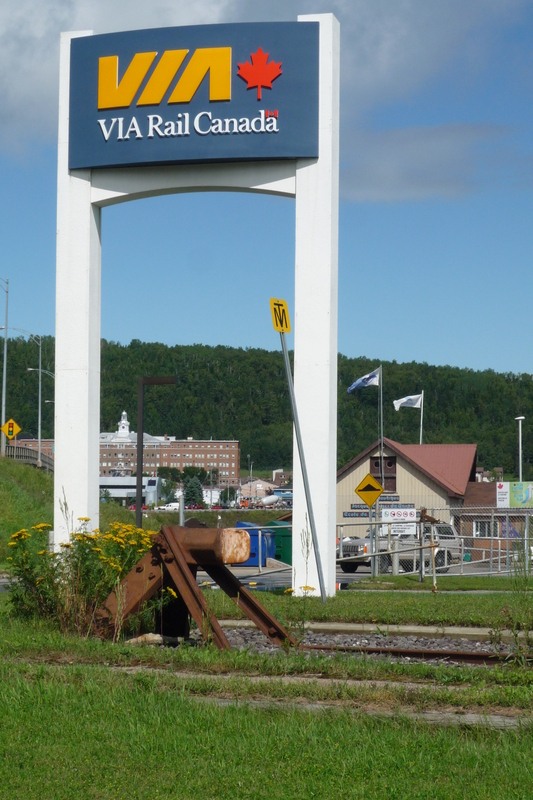 Being a Patterson in Gaspe, everyone assumes you are a local and asks who your father is. So now whenever I introduce myself I have to say I’m a Patterson not from Gaspe. I talked to my mom the other day and she ‘knows’ you from Go Gaspe, she said. She knows the complex web of relations in Gaspe better than most and she is dumbfounded to see a Patterson she can’t fit into the puzzle! Thanks for the info on the south coast. I’ve seen photos online, but it’s good to know the details.